The objective of Camp Nonantum is to promote the emotional and physical well being of children. 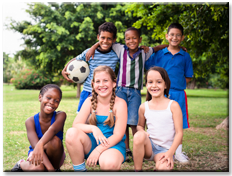 Our focus is to create a safe environment where children are able to play, have fun, yet be supported with regard to their social and emotional goals. Camp Nonantum is designed for children who can benefit from a therapeutic day program. The program offers smaller groups and a higher level of structure than is found in a traditional day camp. Unlike traditional day camps, the camp also offers a low camper to counselor ratio, which allows for individualized behavior management and direction toward personal goals. 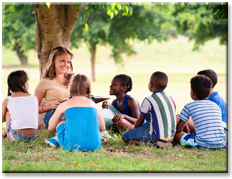 The program is designed to help children develop the social and emotional skills necessary to be successful in all areas of their daily lives. The camp offers therapeutic support through a variety of small and large group activities which aim at helping children further develop their social and coping skills. The staff is comprised of licensed mental health clinicians and interns, specializing in working with children with varying social and emotional needs. Areas of work focus upon learning friendship skills, conversation skills, self-advocacy, risk taking, reducing anxiety, managing competition, learning to channel energy in a positive manner, coping better with transitions, developing frustration tolerance, and learning problem solving and negotiation skills. Dates8: July -August 2, 2019. The Academy is a child and adolescent centered agency offering a social skills group program, individual counseling, and school-based services.